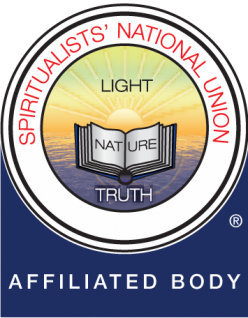 Returning from multiple trips to the States, Canada and Mainland Europe, International mediums, Phil and Kerry are presenting a two day seminar at the Stockport SNU Spiritualist Church. There also will be a Special Demonstration of their ability on the Saturday Night (this is available for an additional £10). The first day will be spent leading you into the power and the mechanics of mediumship, find your own abilities and develop them. The second day will be spent helping the individual to deepen their evidence, allowing them to shift their ability to another level, helping them present in a professional manner. These Techniques will help with public demonstrations and private sittings, giving confidence to the participant, helping them stretch and take a deeper delve into the essence of the communicator. The Spirit and Soul Foundation was inspired by the spirit world, in order to offer opportunities to people, to access a form of spiritual learning and mediumship training that goes beyond anything they may of experienced before, this experience is now being introduced to “We Don’t Die” by Sandra Champlain in the USA and across the world.